Our guide to San Diego will help you find the best vegetarian restaurants in San Diego California. Although San Diego is the eighth largest city in the country, it's stayed true to its laidback surfer vibe mentality. If you're looking for trendy boutique hotels, an exploding culinary scene, and big-city nightlife, with a side of beach bum mixed in, you're in the right place! For families, San Diego is ideal. If world-famous destinations like the San Diego Zoo, SeaWorld, Belmont Amusement Park, and LegoLand (in nearby Carlsbad) aren't enough, families can take advantage of an abundance of museums, a children's theater, a puppet theater, and all sorts of other, lesser-known but no less entertaining attractions. With this much to offer, it's no surprise that tourism plays a major role in San Diego's economy. Other big contributors include biotechnology, agriculture, manufacturing, and defense-related industries. The US Marines and the US Navy maintain several bases in the county. There are tons of great vegetarian restaurants in the city of San Diego, our city guide will help you find the best vegetarian restaurants. You may have a hard time deciding what to do in San Diego, but we make your decision easy. 1846 Garnet Ave, (858) 274-1140 - A contender for the best Greek restaurant in Southern California. 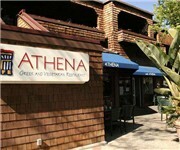 Cafe Athena specializes in the art of Greek and vegetarian cuisine. 1905 El Cajon Blvd, (619) 683-9490 - Loving Hut is a vegetarian restaurant located in San Diego CA. 2879 University Ave, (619) 543-0406 - Spread is a vegetarian restaurant located in San Diego CA. 2949 5th Ave, (619) 550-1818 - Nature's Express is a vegetarian restaurant located in San Diego CA. 314 5th Ave, (619) 232-4634 - Masala Spices of India is a vegetarian restaurant located in San Diego CA. 3442 30th St, (619) 546-8411 - Nestled in a fun and friendly North-Park neighborhood, Veg-N-Out is a small vegeterian/vegan restaurant bursting with delicious and healthy foods. 3843 Richmond St, (619) 296-6056 - Classic, traditional and modern Thai and Vegetarian cuisine. Extensive wine list with Riedel glassware. 3960 5th Ave, (619) 298-3155 - Bombay Exotic Cuisine of India is a vegetarian restaurant located in San Diego CA. 406 University Ave, (619) 298-2929 - Kitima Thai Cuisine is a vegetarian restaurant located in San Diego CA. 4475 Mission Blvd, (858) 270-5050 - Karinya Thai & Vegetarian is a vegetarian restaurant located in San Diego CA. 467 5th Ave, (619) 230-8424 - Royal Thai Cuisine offers you the exquisite Thai dinning with it’s delicious flavors and exotic atmosphere. 5501 Clairemont Mesa Blvd, (858) 279-3747 - Sipz Cafe is a vegetarian restaurant located in San Diego CA. 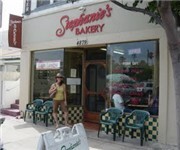 859 Hornblend St, (858) 272-1913 - Vegan Zone is a vegetarian restaurant located in San Diego CA. 8862 Navajo Rd, (619) 465-8190 - Peach Blossom Chinese Restaurant is a vegetarian restaurant located in San Diego CA. 9450 Scranton Rd, (858) 457-1103 - Sipz Vegetarian Express is a vegetarian restaurant located in San Diego CA. 9474 Black Mtn Rd, (858) 271-7976 - India Food and Grocery is a vegetarian restaurant located in San Diego CA. 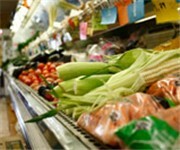 4669 Park Blvd, (619) 299-4669 - All Vegan is a vegetarian food / grocery store located in San Diego CA. There are plenty more vegetarian restaurants in San Diego. See all vegetarian restaurants in San Diego California. Copyright © 2019 Peas Love Carrots. All rights reserved.